Love it or loathe it, the fall season is dominated by all things pumpkin spice. But if you allow yourself to get sucked into the pumpkin clamor and forget about all the other produce sharing fall as their harvest season, you’re doing yourself a disservice. Behold: the sweet potato. Just because sweet potatoes don’t have the same festive, cult following as pumpkin doesn’t mean they don’t have their own underrated charm. I yam not a yam. While you can find sweet potatoes piled high next to an equally impressive stack of yams in the grocery store, chances are… they’re one and the same. Unless you’re at a store specializing in international goods, the yams you see are just a different variety of sweet potato. Gotcha. Like pumpkin, sweet potatoes boast bright orange coloring. But sweet potatoes come in a spectrum of hues ranging from creamy white, to orange to vibrant purple. 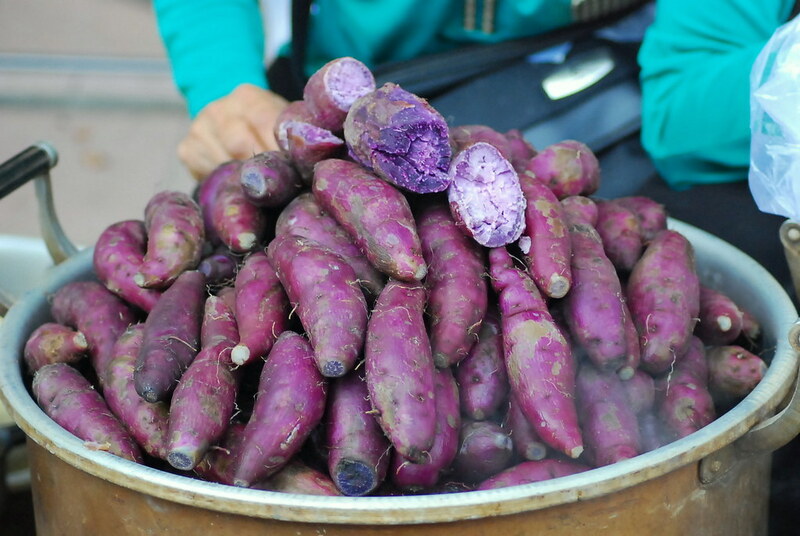 Two varieties of purple sweet potatoes to taste are the Stokes Purple and the Okinawan sweet potato. While you shouldn’t expect the different colors to taste drastically different, you can match them to your textural cravings. You’ll find orange varieties to be creamier than their white and purple cousins, which tend to be on the starchier side. Purple or orange, sweet potatoes don’t skimp on essential nutrients like vitamin A and potassium, not to mention fiber that will help you feel satisfied between and after meals. Whether you’re hitting the books or pushing your limits during a sweaty workout, sweet potatoes will fuel your way through. 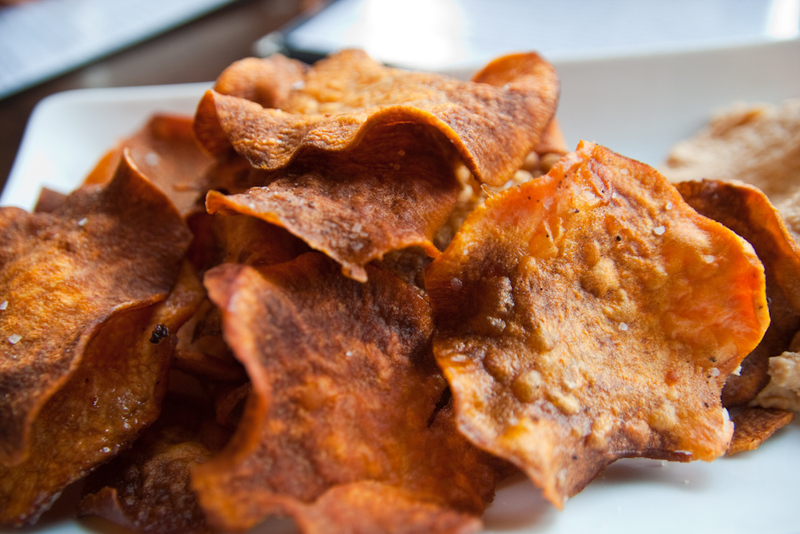 So yes – treat yourself to another helping of these microwave sweet potato chips before heading out to dominate the gym. If you’re still skeptical that sweet potatoes can live up to the standards set by pumpkin, take note that sweet potatoes can be translated into a dessert form nearly equivalent to pumpkin pie. Sweet potato pie is a southern favorite that’s just as creamy and custardy as America’s quintessential Thanksgiving dessert. 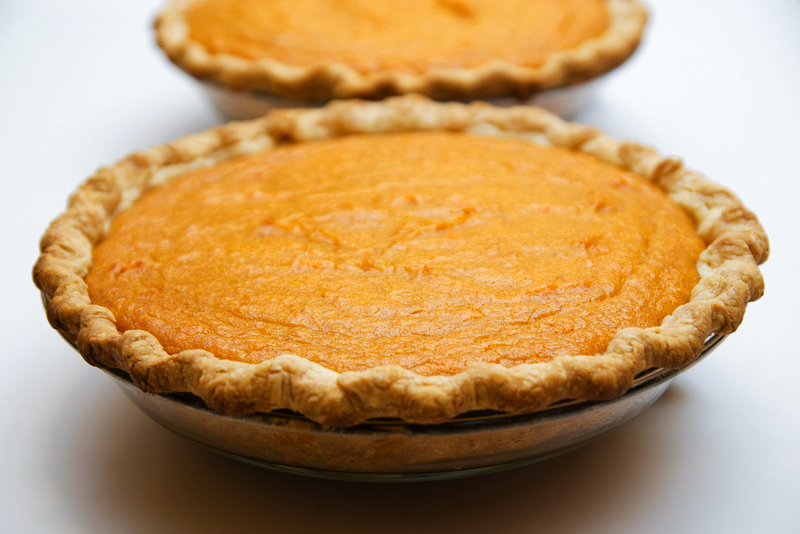 Try this recipe or substitute an equal amount of cooked sweet potato for the pumpkin in your favorite pumpkin pie recipe. Naturally sweet on their own, the flavor of sweet potatoes can shine through without being sugar-coated with marshmallows, a la sweet potato casserole. Kick regular potatoes out the door because there’s a new, more nutritious favorite in town. 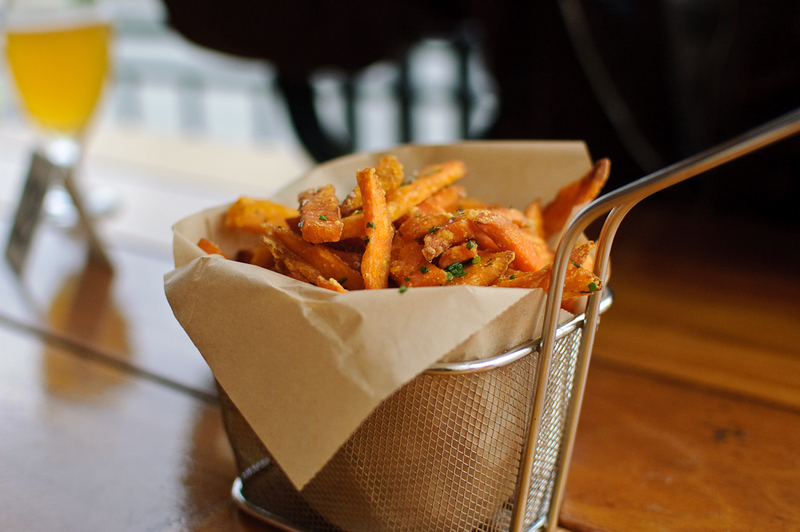 Sweet potatoes, depending on flavor context, can be used as substitutes in recipes that call for regular ol’ spuds. For the less experimentally inclined, sweet potatoes serve as foundational ingredients for tasty oven-baked fries, latkes and this alternative casserole. 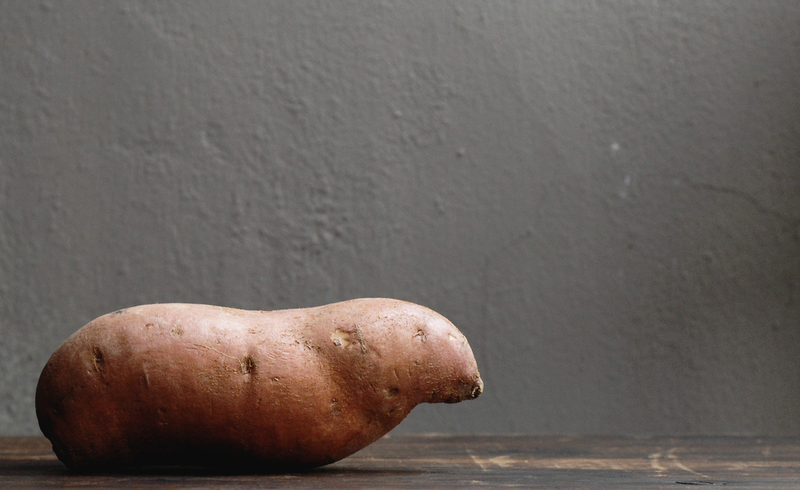 No matter how much you dress them up or transform them through various recipes, make sure not to overlook the humble sweet potato’s original form. A long (but rewarding) roast in the oven or a quick (instantly gratifying) spin in the microwave provide good starting points from which to delve into the world of sweet potatoes in the comforts of your dorm room. But if you’re enterprising enough, maybe the creation of a sweet potato latte to usurp the famed pumpkin spice latte is in order. SPL, anyone?